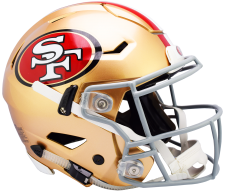 49ers SpeedFLEX Helmet | Sports Memorabilia! This is the 49ers Speed FLEX Helmet as used on the field by many players. 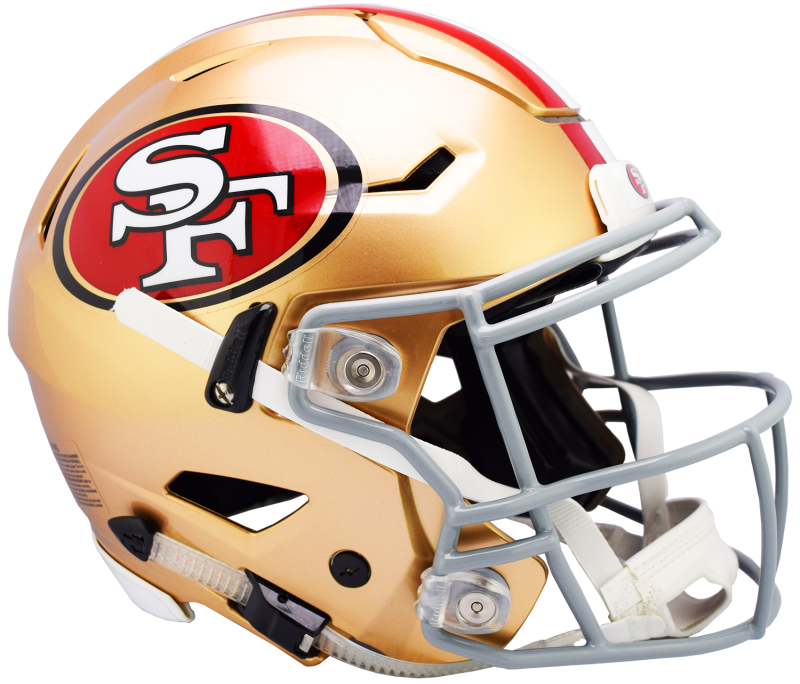 Made by Riddell for the 49ers, this NFL helmet comes with the comfort overliner and the quick release facemask attachments, padding and decals. This unique look of the 49ers Speed Flex helmet has become the new desired 49ers helmet in the game. Each San Francisco 49ers Speedflex helmet is made to order. After ordering please allow 3-4 weeks for your FLEX helmet to be shipped direct to you from Riddell. All NFL team SpeedFlex Helmets are available through National Sports Distributors.